Network-attached storage, short for NAS, is the extender for home sharing. Nowadays, a mass of our customers own a large Blu-ray/DVD collection each with hundreds/thousands or even more movies. They always need to rip Blu-ray/DVD to NAS to store, manage, serve, stream or watch them. Frequently, users ask which format is the best one for NAS. It's difficult to give a simple answer because it has various decisive factors, including your preferences and usages of such. Before jumping to conclusions, a quick word on the suggested video formats in different situations. If you want to preserve everything on a Blu-ray/DVD, then the simplest option is to copy the whole disc to NAS with all data information well reserved. Here, a full disc copy of Blu-ray/DVD disc will assist you to output an BDMV folder or Video_TS folder with all your wanted media data included. BDMV folder is under the root folder of your Blu-rays. 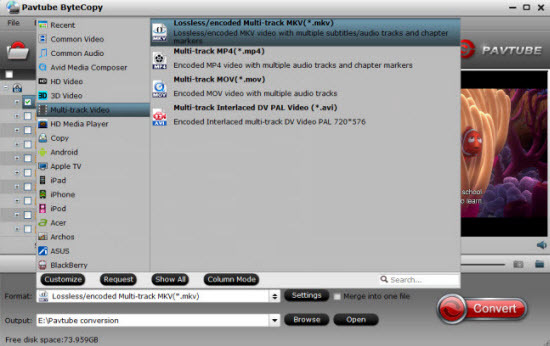 BDMV folders contain audio, video, and other streams in Blu-ray’s BDAV (MPEG-2 TS) Container. In addition, BDMV normally includes interactive menus using BD-J (Blu-ray’s Java implementation). It can preserve all the information in the original Blu-ray discs to entire copy Blu-ray to BDMV folder. You don't have much choice if you want to use Apple iTunes and watch movies natively on an iPad or iPhone. 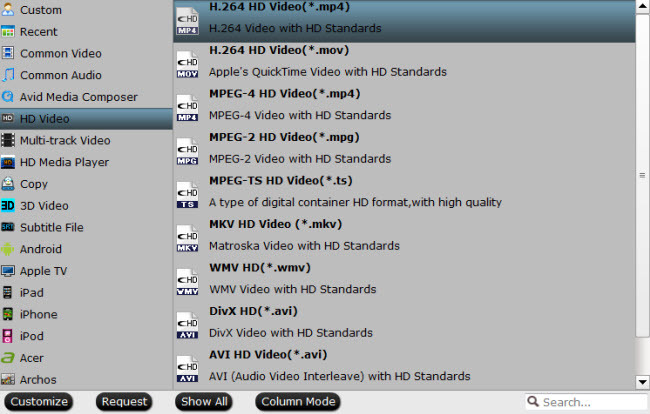 Apple makes things simpler by eliminating dozens of popular alternatives (AVI, WMV, DivX, Xvid, FLV, MKV etc) and only allowing limited digital video options: H.264/MPEG4 encoded MP4, MOV, M4V video files. 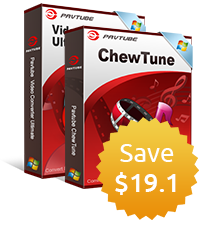 Better understanding of Android phone or tablets supported video and audio formats will guarantee you to achieve the best movie playback effect on Android portable devices. Just take a glance at Android supported video and audio formats in below tablet. Most DirectTV uses a 3D TV format referred to as Side-by-Side 3D where the horizontal resolution of the HD image is reduced by half in order to store the left eye and right eye images on a single frame. And the most common Side-by-Side 3D TV format is the Side-by-Side Half where each sub-frame occupies just half the horizontal resolution of a full HD frame, resulting in a 3D image with 960pixels by 1080 lines instead of the 1920 x1080 required for full 1080p content. To create 3D effect from Blu-ray/DVD for 3D TV playback, just choose to rip Blu-ray/DVD to 3D SBS video format. 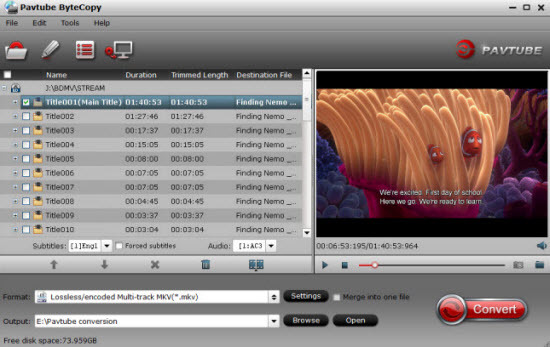 With the help of this Blu-ray/DVD, users can personalize their BD/DVD videos before converting them by adjusting video and audio encoder codec, bitrate, frame rate, sample rate, channel. It also gives you the possibility to configure 3D settings, crop, trim, merge and rotate clips, as well as apply text, video or image watermarks. The installation is easy and clear. You can download from the button below now. Step 1: Load Blu-ray or DVD disc. Insert Blu-ray or DVD into disc drive. Launch ByteCopy, click "Load Disc" button to browse to disc drive and import source movie into this app. Hit the icon on the top tool bar, you will enter the full disc copy windows with a progress bar immediately. b. If you wish to backup Blu-ray/DVD to NAS without quality loss, just output "Multi-track Video" > "Lossless/encoded Multi-track MKV(*.mkv)". Choose "HD Video" > "H.264 HD Video(*.mp4)" or other popular formats as output formats for playing on Android smartphones or tablets via NAS. 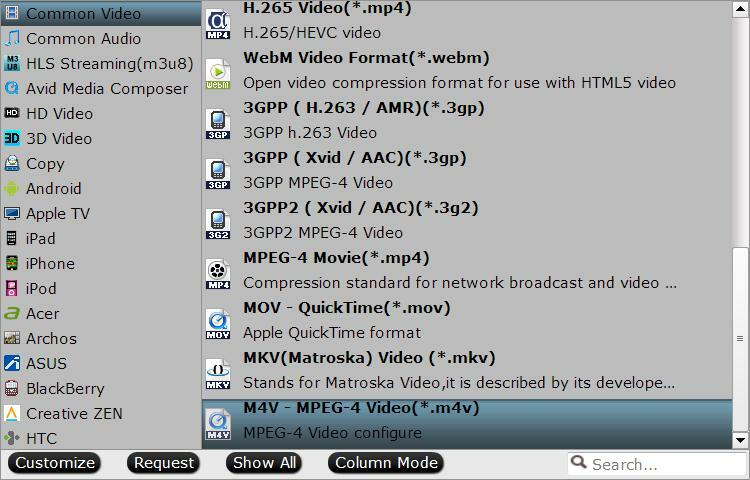 Click "Format" bar to select "Common Video" > "M4V - MPEG-4 Video(*.m4v)" as the ideal format for streaming files from NAS to iPhone, iPad, iPod or Apple TV. 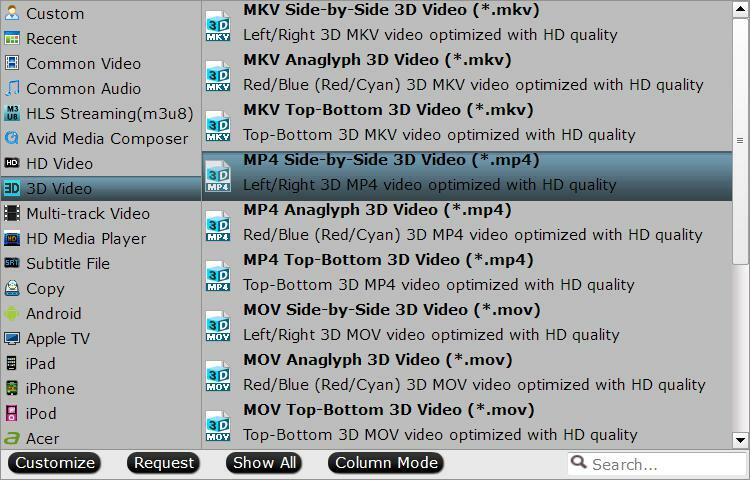 e. To stream and watch converted files on 3D TV, you can opt to directly go to "Format" drop-down list, select "3D Video" > "MP4 Side-by-Side 3D Video(*.mp4)" as output format. Step 3: Start the Blu-ray/DVD to NAS backup process. Go back to the main interface, press right-bottom "Convert" button to start Blu-ray/DVD movie to NAS digital format conversion process. When the conversion is completed, you will have no limitation to watch your favorite movies, videos and TV shows anywhere, anytime.